. 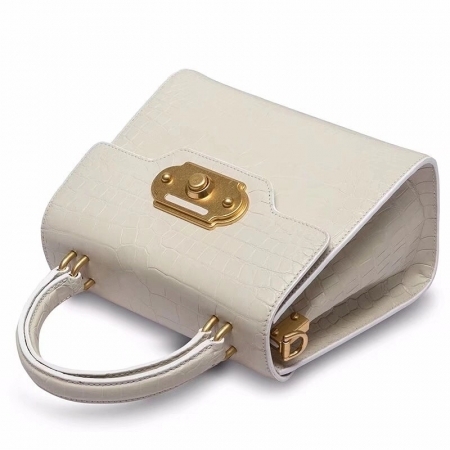 Excellent Package: One dust bag (which could be used as a shopping bag) and one luxury gift box. Seriously protect the alligator leather from damage. 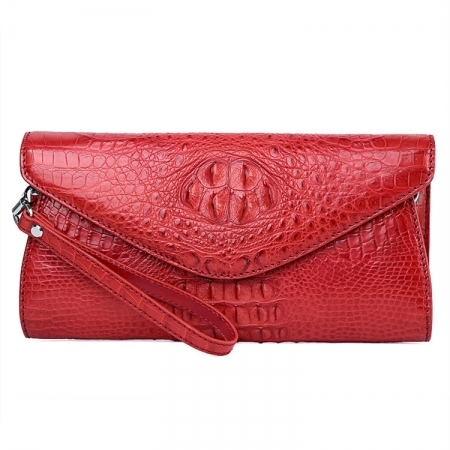 Great gift idea for your friends, wife, parents or yourself. 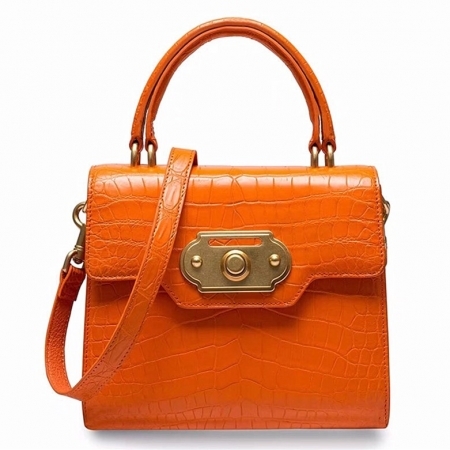 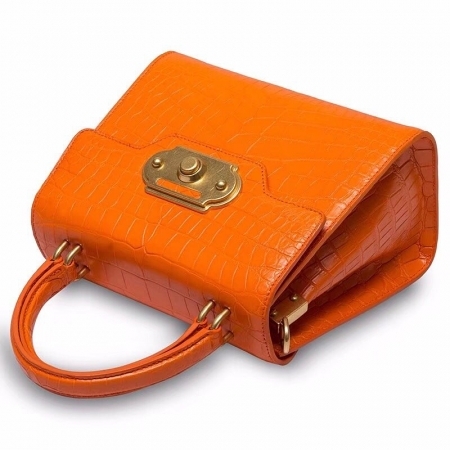 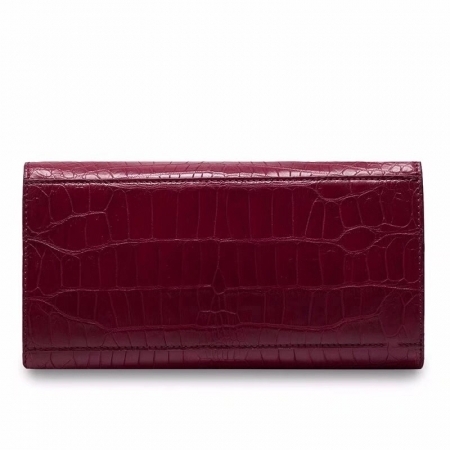 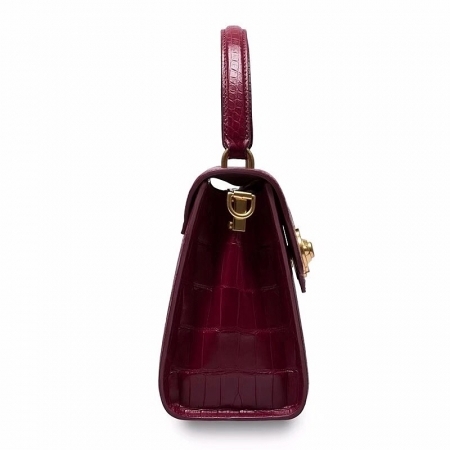 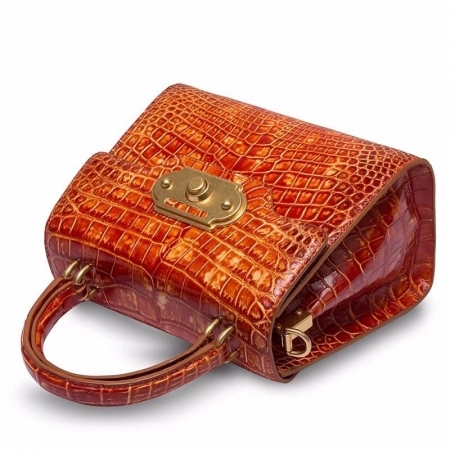 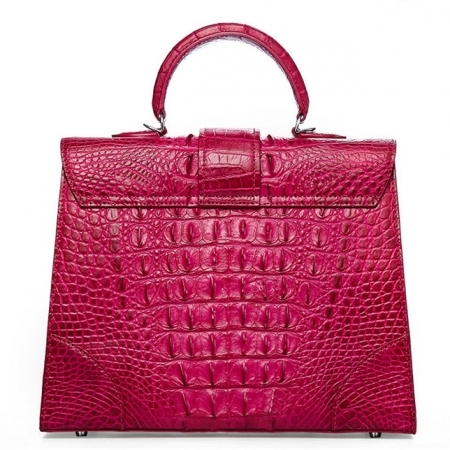 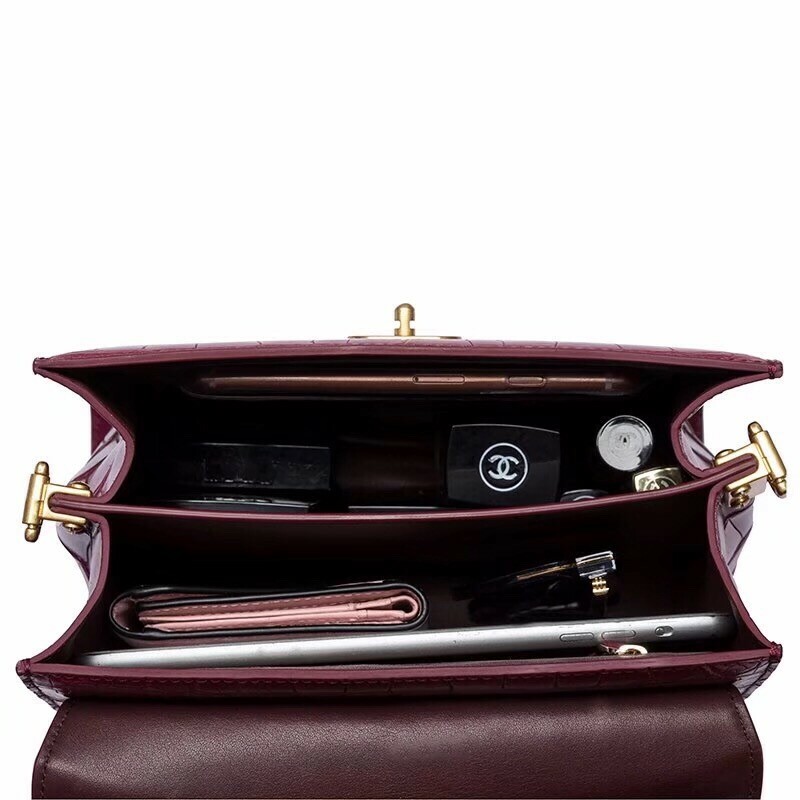 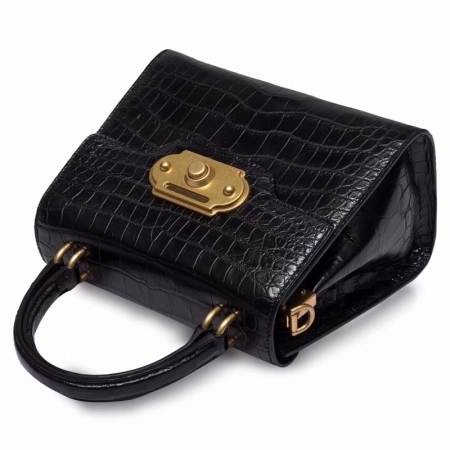 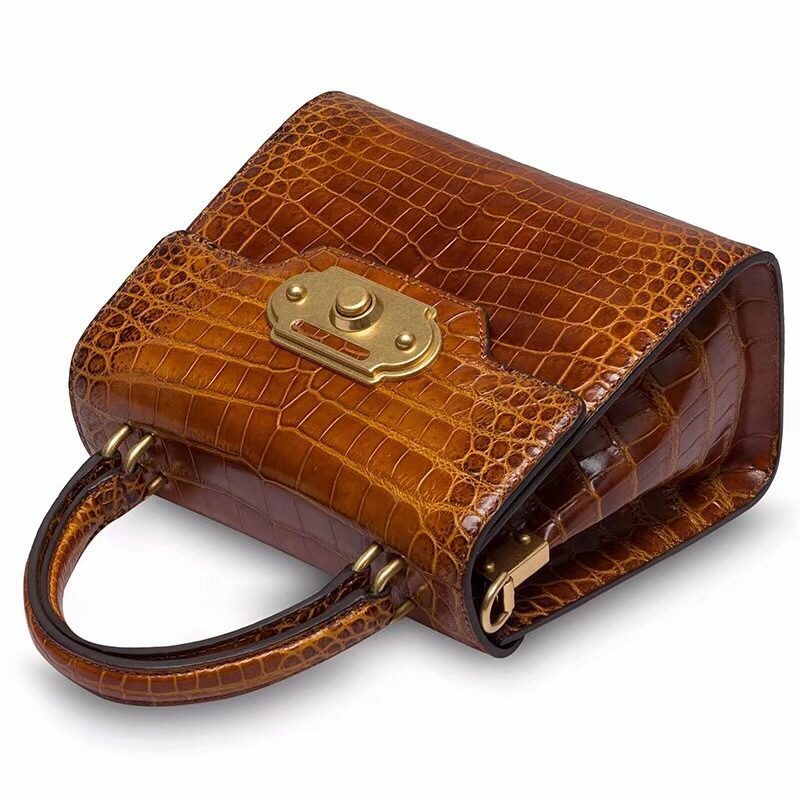 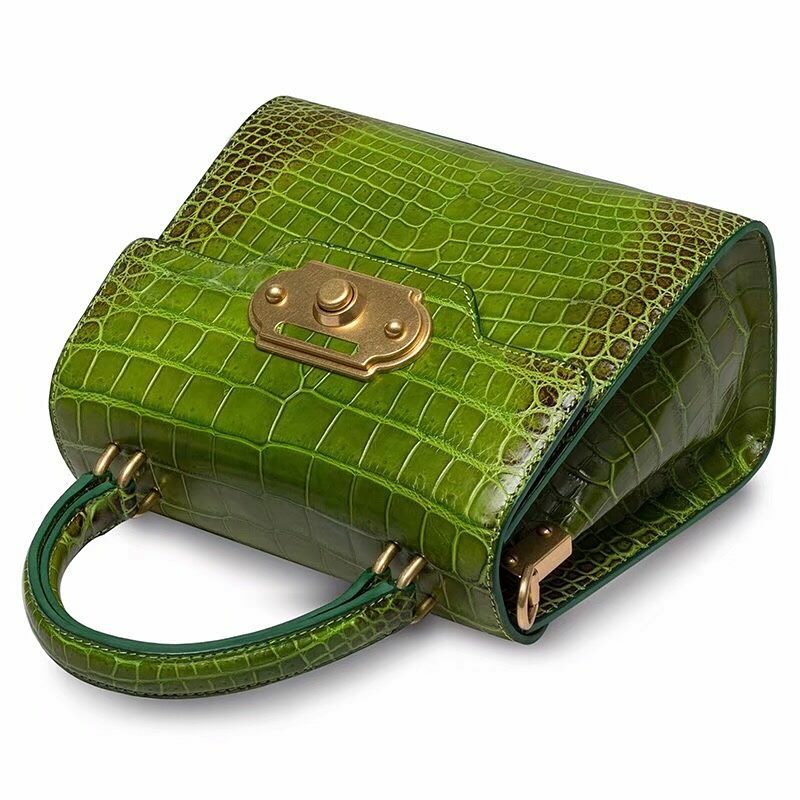 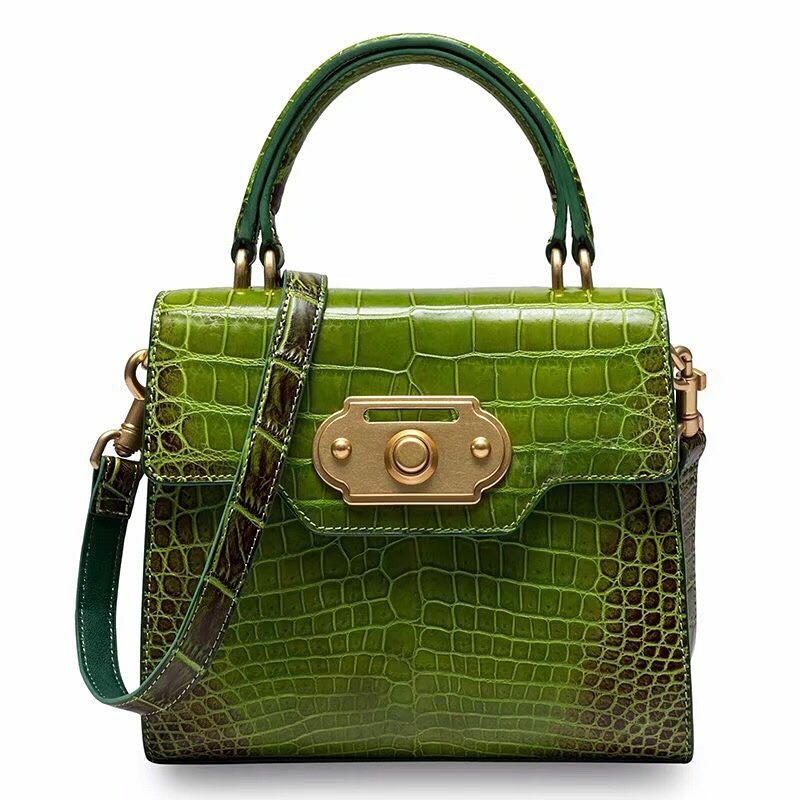 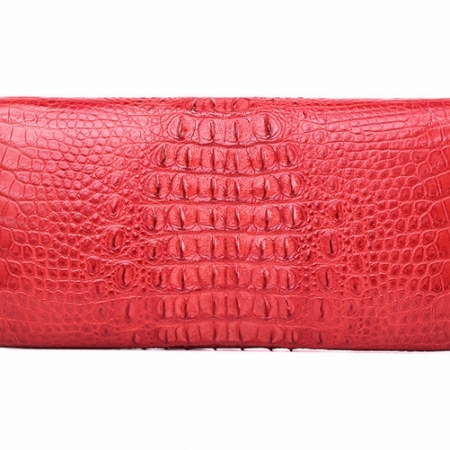 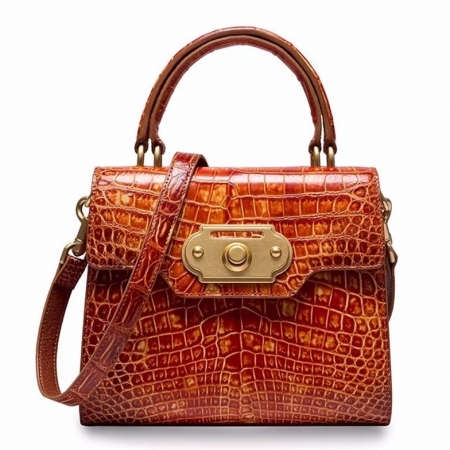 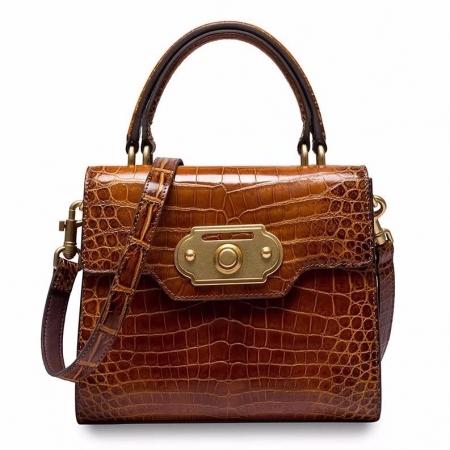 This alligator leather designer handbag contains 2 main inner pocket, 1 interior zipper pocket, and 1 cell phone pocket. Cover closure with gold metal lock, the delicate lock is designed for the safety of your properties, beautiful and elegant. 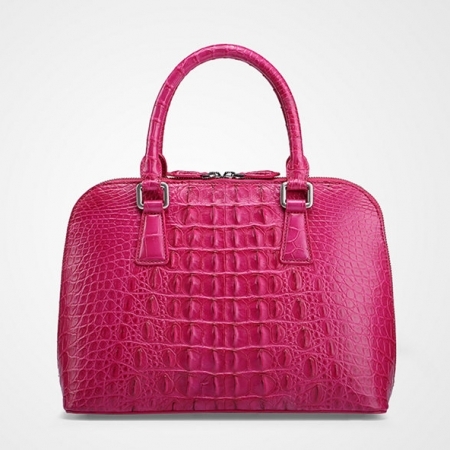 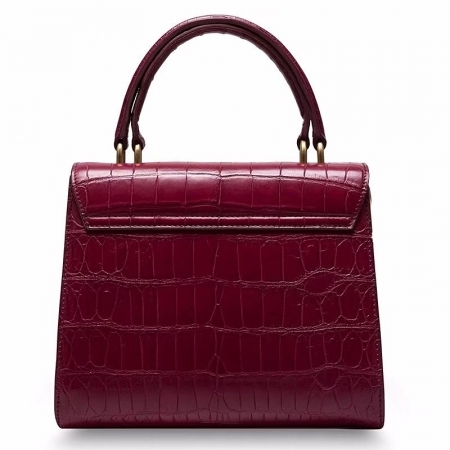 These alligator handbags are available in 8 colors, all kind of colors are beautiful and stylish. 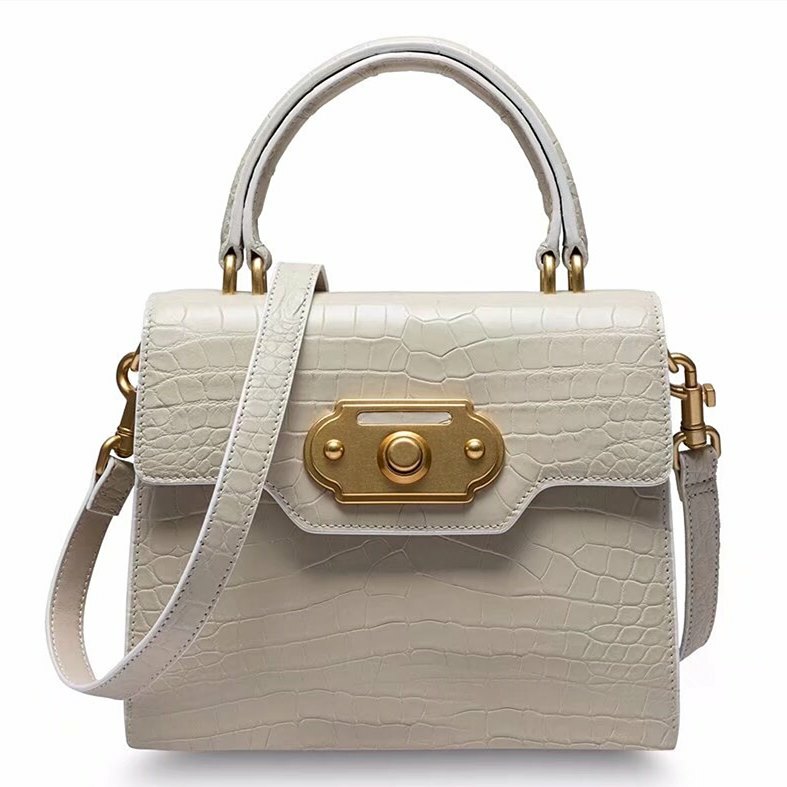 Clear fashion texture, with simple and vintage styling. 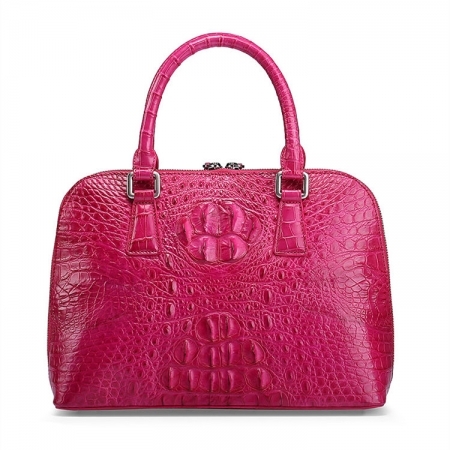 Start your Own Style with this handbag! 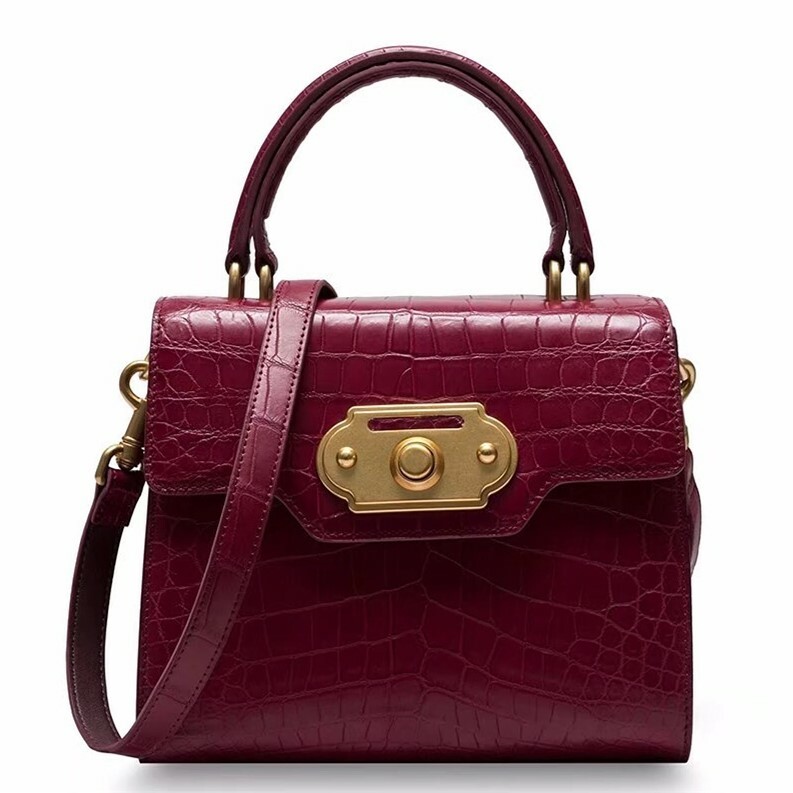 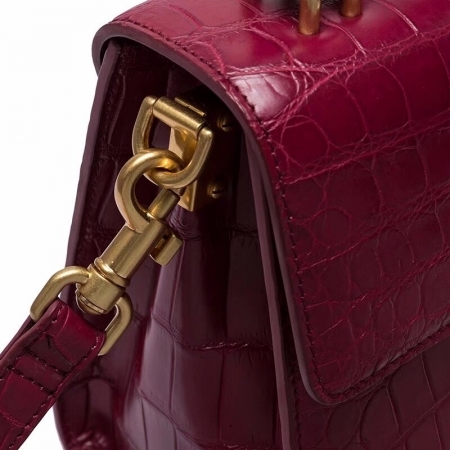 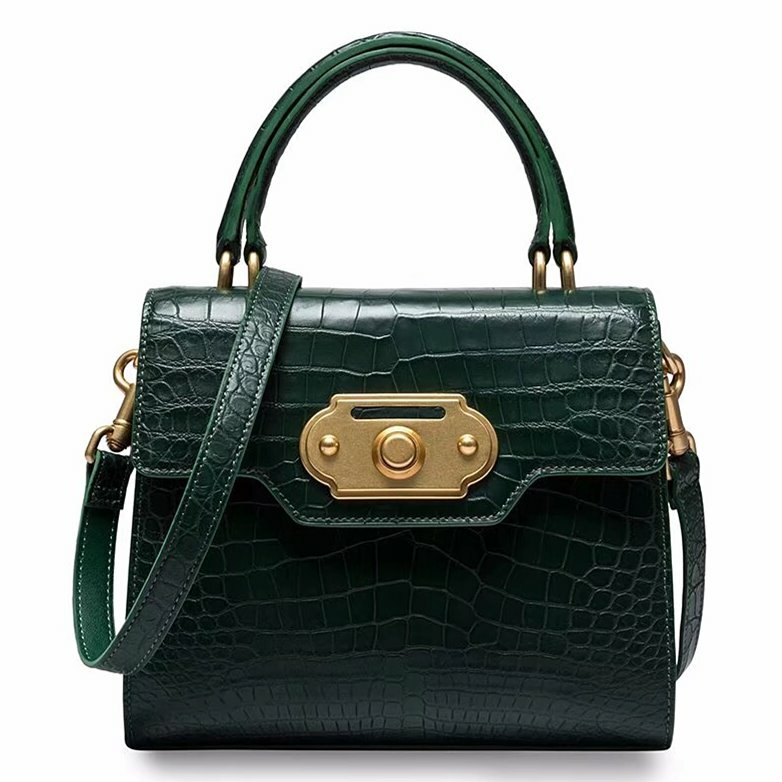 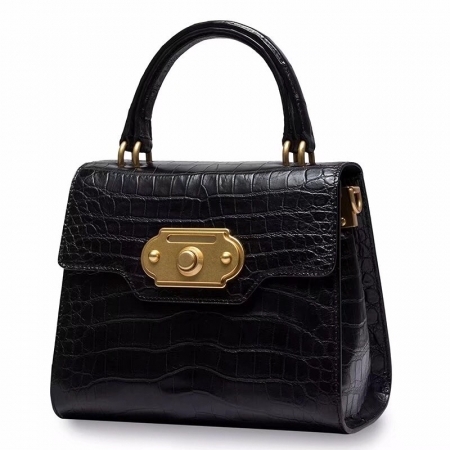 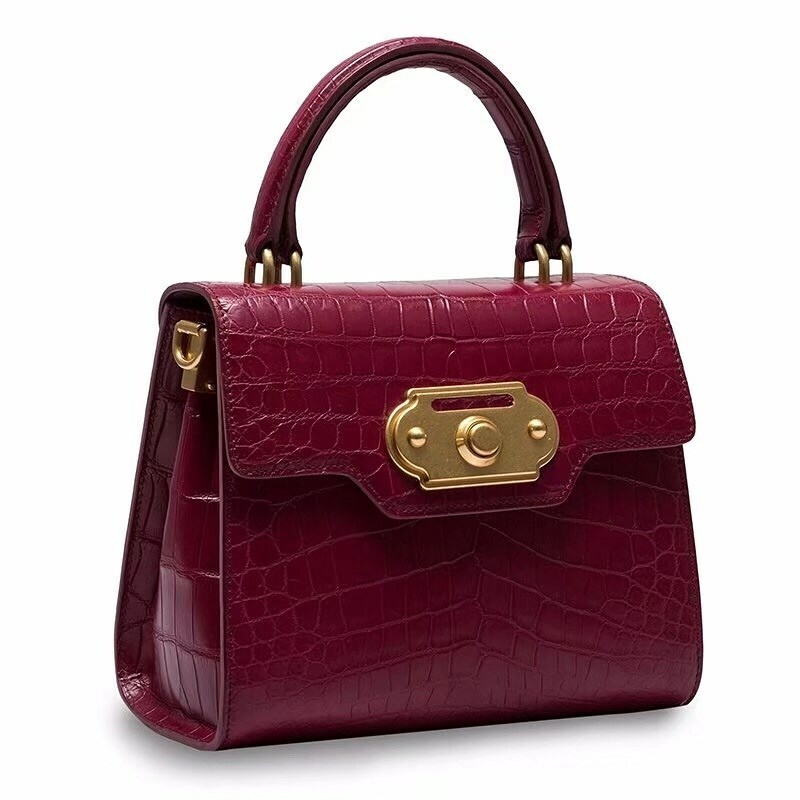 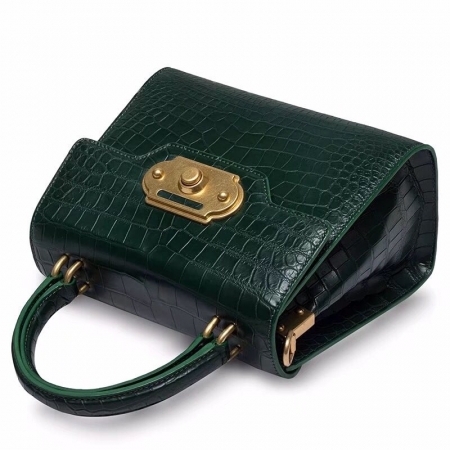 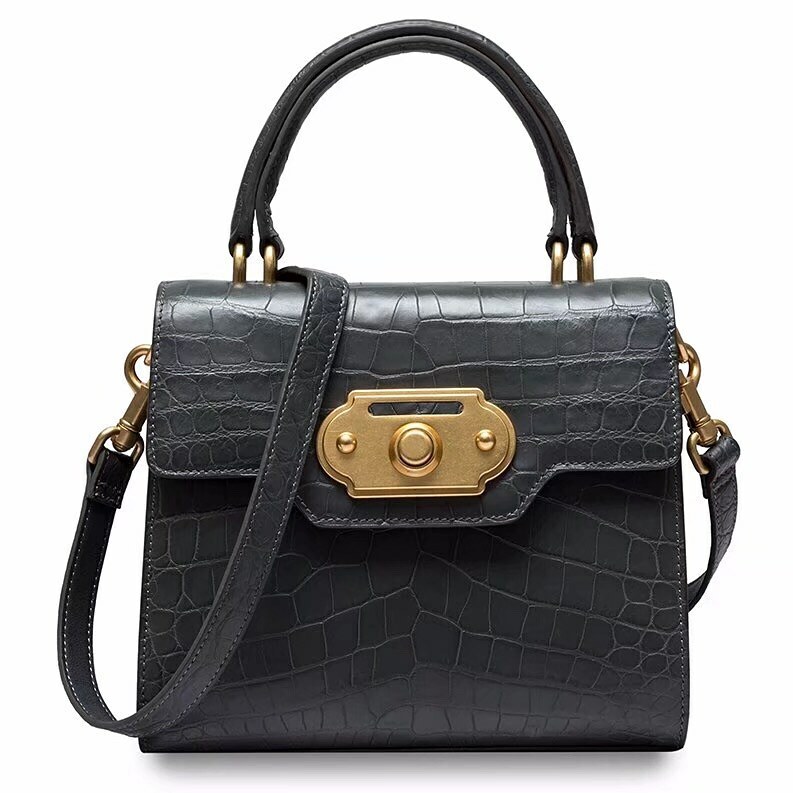 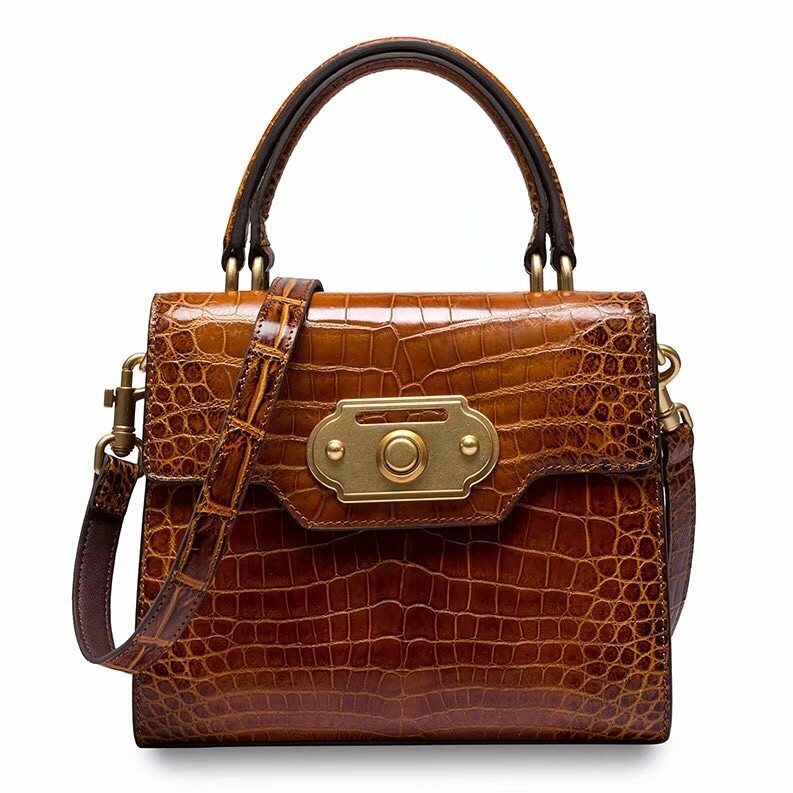 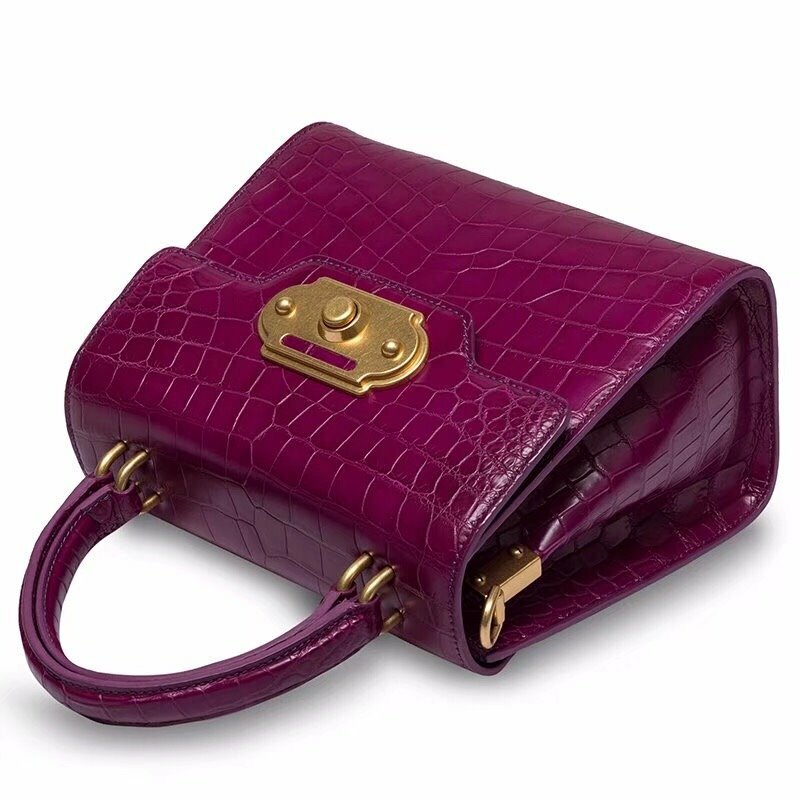 Comes with an Adjustable Long Alligator Leather-Chain shoulder strap (it can removable), this alligator handbag works as a shoulder bag, crossbody bag, and a tote bag. 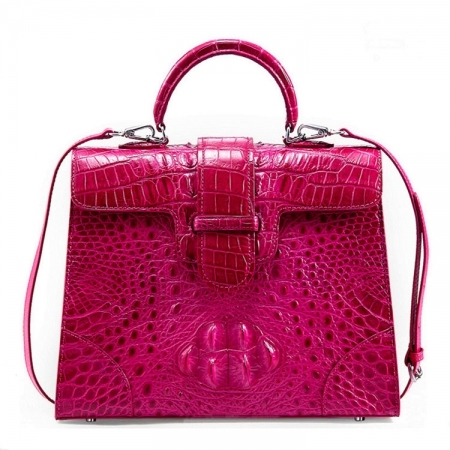 I believe you will get a lot of compliments with its elegant beauty and fashion look.